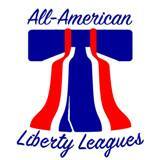 All-American Liberty Leagues, LLC (AALL) is a league committed to bringing communities together. We provide the opportunity to make new friendships, compete in a social environment and most importantly, show off all that the GREAT city of Philadelphia has to offer. Candy bars for teams with stunning matches.